Smoothies. Doesn’t seeing that word just make you happy? Like, if you had a bad day, found yourself walking home from work, and saw a hot pink, neon-lit sign that said, “Welcome the fall with our new Pumpkin Pie Smoothies!” Wouldn’t that make you feel better? Never mind that the sign should actually be orange or brown because: Fall. But let’s just say that sign was neon pink because that color is an instant mood-lifter. And anyway, you saw that sign. You would instantly perk up. Why? Well, smoothies are kind of like an adult-way of enjoying a milkshake, but without the guilt and with plenty of feel-good vibes. True, not all smoothies are actually good for ya. But around these parts, they ARE. And bonus: they’re crazy delicious. So you might already know that I have a thing for smoothies. And… I might just have a smoothie for every occasion. Most notably, a strawberry smoothie (okaaaaaaay, milkshake) for my sister Jenny’s birthday, a smoothie (bowl) for my mom’s epic mango tale in Hawaii, a smoothie for childhood reminiscent good times, and more! 3) get you excited about the season! Yay!! Have you ever seen one—just ONE—smoothie do all of these things and more? –> Child of infomercials here. Please forgive me. And if you make this now, you won’t get one, but TWO smoothies!! Plus a fanny pack full of pumpkin-shaped treats!!! I kid. I kid. But you could probably make these smoothies, and be so energized/jazzed about fall that you MUST run out and get that fanny pack, then proceed to stuff it with pumpkin-shaped treats. Also of super important note… Happy Birthday, Jeanie!! Jeanie’s one of my sweetest readers and since she totally loves all things no-bake, I thought… what better way to celebrate than with a bake-free pumpkin pie treat? Have a fantastic week, nay, a most fantastic birthday month, Jeanie! In other news, have you guys noticed the dramatic change at the grocery store? Literally, the second I walk in, the entire place smells like Fall heaven. Think: warm cinnamon, pumpkin spice, a dash of cloves, melty caramel and… Fall Bake Love. The second I smell all of those smells, I have to whip my head around like an excited puppy, I can barely stand it. Everywhere, there are stacks of mini pumpkins, cinnamon-scented cones (so that’s where that smell was coming from), pumpkin cookies the size of my face (that’s HUGE, guys), and like… All the Fall Things. And lately, 50% of the time that I go, canned pumpkin is SOLD OUT. Seriously, there’s like a huge, gaping hole in the shelf where canned pumpkin used to live. People are running through the store with arms full of pecans, pumpkin pie halves and baking frenzy in their eyes. <–And you know I know exactly what this looks like. Did fall start way earlier this year, or what? 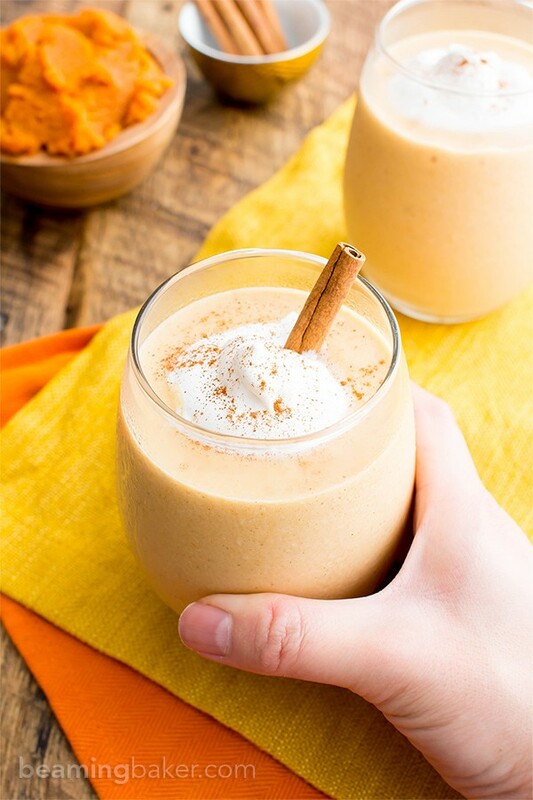 Anyway, let’s all hop on the fall bandwagon together and make this vegan pumpkin pie smoothie. Because… we don’t want to get left behind! J/k. Let me shower you with bullet points (a most terrifying visual, I’m sure) about why you would love this! made with just 6 ingredients. Yep, counting the spice and vanilla. Which kinda doesn’t even count, riiiiight? just like drinking pumpkin pie… but smoother, yay!! Blend up a batch and start putting together that fanny pack! Okay, that’s optional. But not. But is. Excuse my over-exuberance about fall. 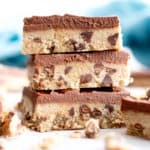 I can’t wait to hear what you think of this recipe. While I wait, tell me all about the seasonal changes around your town. Anyone seeing banners advertising a Fall Fair? Or perhaps huge tables of caramel apples at the grocery store? How about some vegan pumpkin pie?? Alright, that’s sooo hard to find! Alas, you’ll just have to try this amazing Vegan Pumpkin Pie from my talented friend Erin at Texanerin Baking! So much better than storebought! Place the can of light coconut milk in the refrigerator for 1-2 hours, or until completely chilled. Add bananas into the blender. Blend until bananas become crumbly. Add coconut milk. Blend until smooth and creamy, scraping down the sides of the blender as needed. Add the rest of the ingredients: pumpkin, maple syrup, pumpkin pie spice and vanilla. Blend until smooth. Pour into two cups and enjoy! Optionally, top with coconut whip and ground cinnamon. 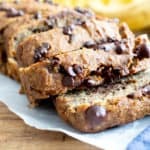 - So good with my pumpkin recipes (all V+GF): pumpkin chocolate chip muffins, pumpkin bread. - More smoothie recipes (all vegan + gluten free): mango chia seed smoothie, chocolate peanut butter banana smoothie, strawberry peanut butter smoothie. Okay, well smoothies doesn’t bring me smiles, but pumpkin does! Haha! I enjoy how simple this recipe is 😀 I was actually at the gym this morning at 5am getting my cardio on and was glued to the TV watching infomercials (infomercials might be my favorite thing about TV…) and a popular blender brand was promoting how healthy and great their SUPER JUICES were and how delicious of smoothies it makes. Needless to say, I went home and made myself a PB and banana smoothie with a scoop of oats for breakfast and it was LOVELY! Tomorrow might have to be a pumpkin smoothie day! 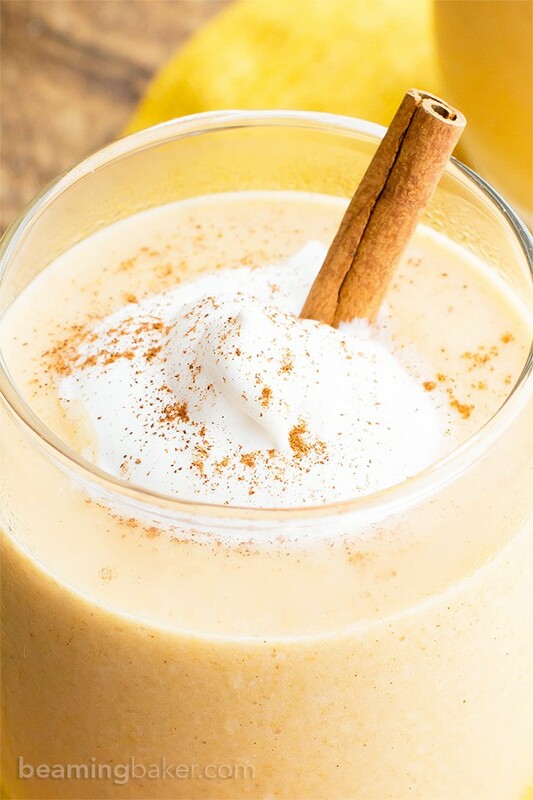 As I say it before … you kicking with pumpkin recipes 😉 As a matter of fact, we ALL kicking it with pumpkins hahaha 😀 Must try your smoothie with coconut milk. I love coconut <3 Pumpkin – coconut combo is heaven! Aw, thanks Natalie! 🙂 Heck yeah, we are!! Any excuse to include coconut and I will! 😉 Thanks friend! Why is the pumpkin always sold out at the grocery store? It’s the weirdest thing. This creamy smoothie screams fall to me and looks so satisfying. Yummy! Oh my goodness!! 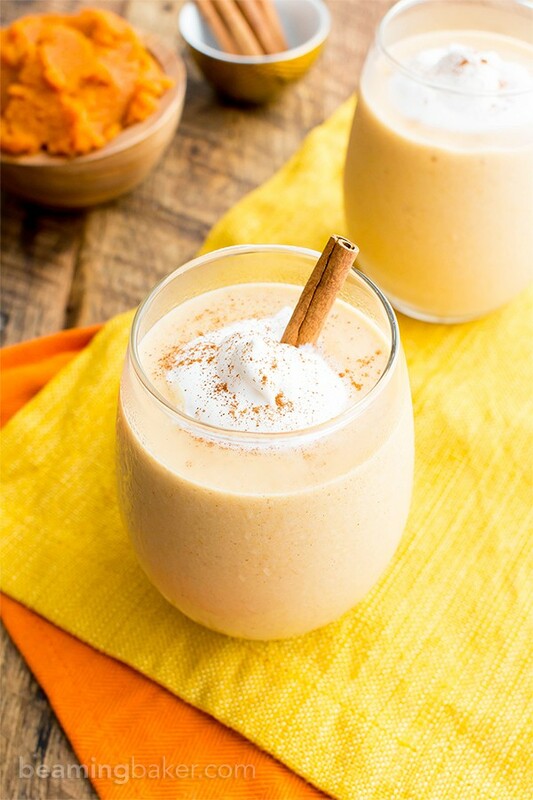 I’ve experienced the pumpkin shortage too – so frightening 😉 I just restocked so I’m excited to try this smoothie – I have yet to perfect this flavor, but I have confidence you nailed it! It’s such a shocker too! Three weeks in a row they’ve been sold out–one second, the shelves are full, the next, all gone. People are in a pumpkin frenzy here, I say! Lol. My family loves this smoothie, so I’m confident I did (they can be quite honest… lol). Thanks Megan! Just made this smoothie, Demeter! & just as I suspected, it was perfect 🙂 Hope you’re having a great weekend! Smoothies definitely make me happy, especially when they’re filled with pumpkin! But I hear you on the not-so-healthy ones…kind of like salads. Everyone thinks salads are healthy, but in reality, most of them probably aren’t with that creamy dressing and loads of toppings. 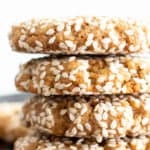 But I LOVE that you created a healthier version of my favorite fall treat. Looks SO good, Demeter! 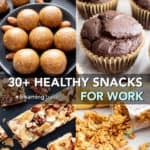 Pinning to try out! I went to Trader Joe’s yesterday and I swear they had 300 pumpkin spice products. Pumpkin EVERYTHING. It was a little out of control. 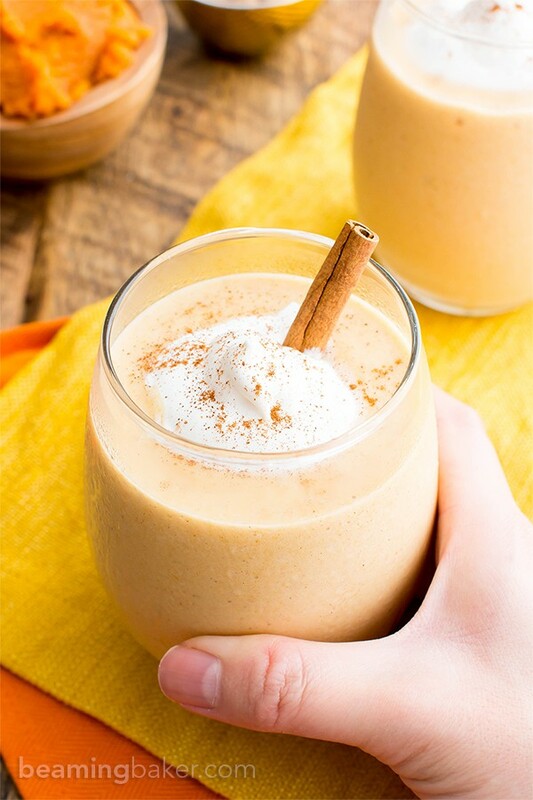 But I can’t be mad because I love pumpkin things in the fall, esp this smoothie! You mean I can basically drink a pumpkin pie?? Sold. 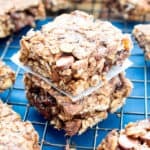 Hits all the yum factors for me! ???? Thanks, I’m going to make them this weekend for us. 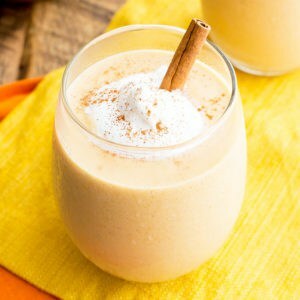 I would be very happy to have a pumpkin pie smoothie! It is such a fun spin on a pumpkin pie! 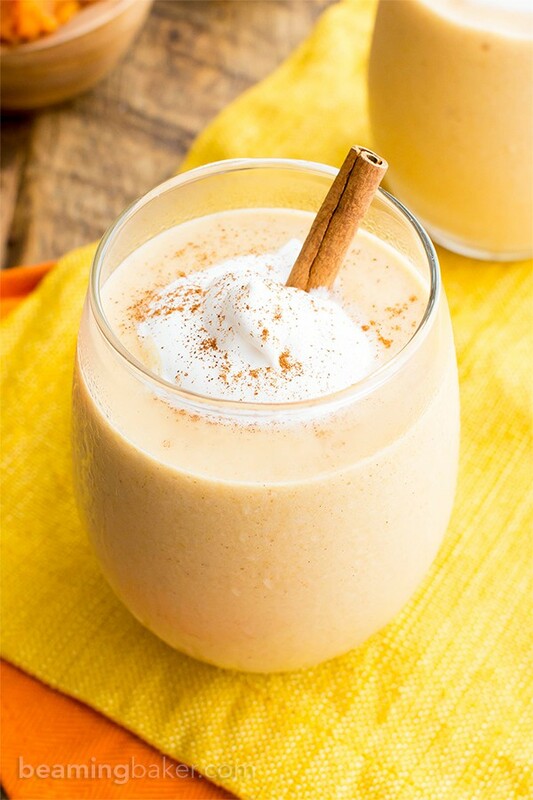 Oh my gosh – GREAT minds think alike because I totally have a pumpkin pie smoothie coming up! How could I not like you said?! Totally atrocity to not have one. The flavours here look SO delicious and yes smoothies make me SO happy friend!! I just made this and it is better than delicious….thank you! It’s wonderful to hear that you enjoyed this, Becky! Thanks for letting me know how it turned out. Enjoy! 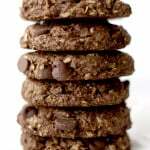 Is there a way to get the nutritional breakdown (calories, fats, carbs and proteins) per serving? 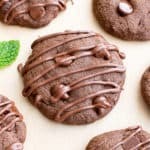 Just made these and they are yummy! 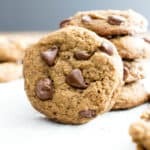 Hi K, so sorry to hear that you didn’t enjoy this recipe. 🙁 If you ever do try it again, maybe use less ripe frozen bananas, or sub one of the bananas with frozen yogurt cubes? Thank you for your feedback. Hugs! 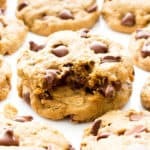 Just tried your recipe after staring at the page for a few days lol, it is delicious, and the perfect mix of goodness! Thank you for sharing, this was the first time I used coconut milk, it gave it the right touch 🙂 Happy Holidays! Hehe!! I can be like that too—should I make it? Do I have the ingredients? 😉 I’m so pleased that you enjoyed it! Happy Holidays to you! !